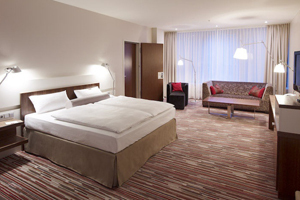 The Nikko Hotel & Nikko Convention Center has been unveiled as the largest hotel in Düsseldorf following a £5.3m investment. The former office space has been transformed into a five-star property featuring a new wing containing an additional 42 executive rooms and suites. It now offers 386 rooms and 18 events spaces covering 2,000sqm.